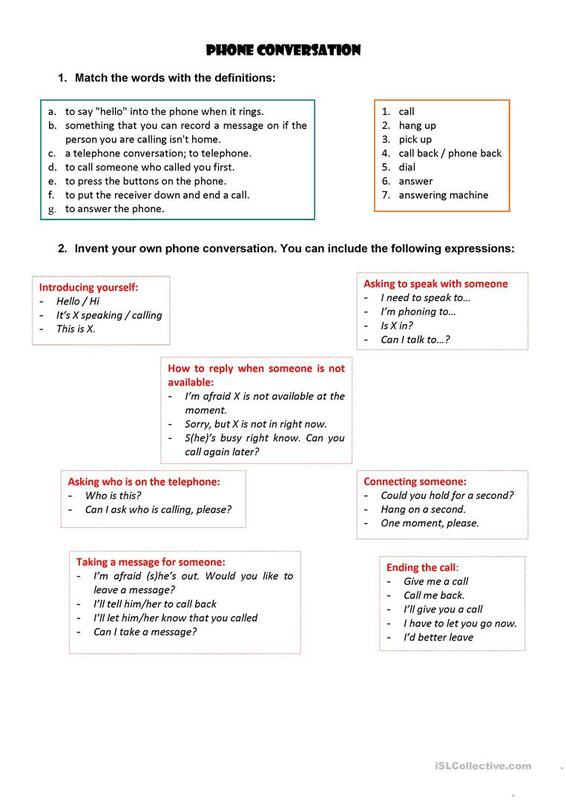 It consists of a list of expressions and vocabulary so that students can invent and practise their own phone conversation. For pre- or intermediate students. The above downloadable teaching material is intended for business/professional students, high school students and adults at Pre-intermediate (A2) and Intermediate (B1) level. It can be used for strengthening your learners' Speaking and Writing skills. It is about the vocabulary topic of Phoning and Technology.